Jewellery & Watches Stores in India is an exciting and enchanting experience with a wide variety of shops and markets in and around everywhere particularly mesmerizing Jewellery & Watches. In fact, some of the best Jewellery Stores & shops in India are known for providing a perfect blend of modern and traditional Jewellery & Watches like Rings in India, Earrings in India, Pendants in India, Bangles in India, Bracelets in India, Pendant Sets in India, Necklace Sets in India, Mangal Sutras in India, Bridal Jewellery in India, Diamond Jewellery in India, Gold Jewellery in India, Gemstone Jewellery in India, Mens Jewellery in India, Religious Jewellery in India, Kids Jewellery in India, Setting Frames & Watches in India. You can get some of the best jewellery shops in Mumbai. Top Jewellery & Watches Stores in Mumbai apart from providing trendy, classic, fashionable and traditional jewellery in India also offers antique jewellery items. Find Phone Numbers of Jewellery Stores in India, Mobile Numbers of Jewellery Stores in India, Addresses of Jewellery Stores in India, MAP of Jewellery Stores in India, My Offers of Jewellery Stores in India, See Ratings & Reviews of Jewellery Stores in India, MyInfoline is for Best Search of Jewellery Stores in India. 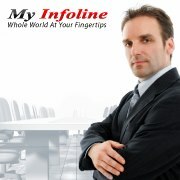 MyInfoline For All Your Local Search in India.